All over the world, natural daylight has been exchanged for artificial light forms at the expense of our health and even productivity. With better building design, though, we can reclaim the daylight and improve well-being and performance. In today’s built up society, natural daylight has been replaced with artificial forms of light, like electric lighting. The effects are widespread. From deteriorating health to declining performance, it’s becoming increasingly obvious that daylight isn’t just a nice-to-have resource, it’s a basic human need. The implications of insufficient daylight on health and well-being. The effects that natural light has on our performance—both professional and academic. 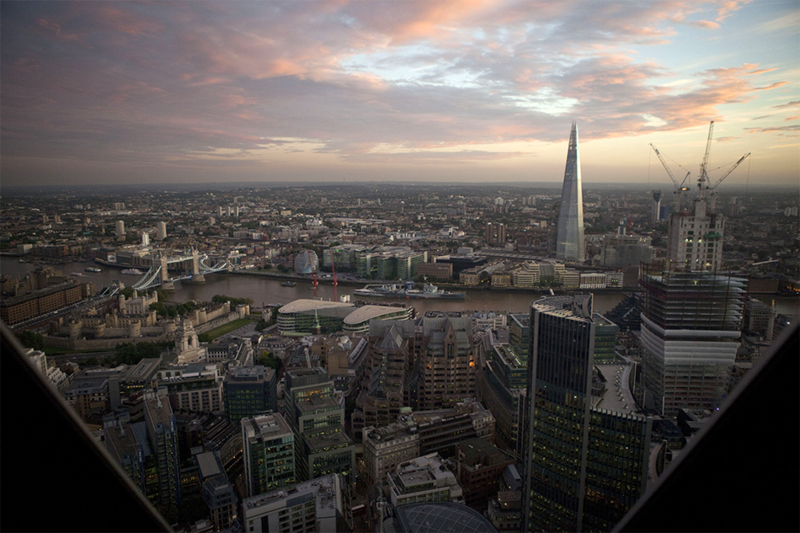 How we can design better buildings to overcome these challenges. How to carry out sustainable building design and the certification schemes you should be considering. Since the beginning of time, daylight has been an integral part of our lives. It has been an indicator of the weather and of the time of day. It’s been a signal of refuge and safety. It’s been a processing aid and even a synchroniser of biological and social rhythms. Daylight both life-like and life-supporting is not just a resource that we can replace with artificial light forms, evidence suggests, in fact, that it’s a basic human need. In today’s built-up environment, though, we don’t get enough of it. We’ve replaced daylight with artificial light. Because of this, our health has suffered, our circadian rhythms have been disturbed and we’ve made ourselves vulnerable to a plethora of illnesses. A global abundance of artificial light has made what was once a common occurrence - walking outside and looking up to a dark night’s sky- one of the rarest. Satellite views of Earth after dark show the majority of the world lit up with electric light. This isn’t just the big cities, it’s town and even rural areas—and there are major implications. How is reliance on artificial lighting affecting us? Artificial light, such as electric light, is degrading our psychological health. LEDs, used in many places as a better alternative to electric lighting, emit high levels of “blue-rich white light,” which tells our bodies to ‘wake up.’ This disrupts our 24-hour internal rhythm, wearing on our physical health, alertness, memory and mood. In the long run, all of this can contribute to sleep disorders. It also puts us at a greater risk of sickness, obesity, diabetes and depression. Reliance on artificial light at night—for example, by night shift workers—has even been linked to higher instances of peptic ulcers and even certain kinds of cancer. Since daylight has tremendous effects on our physical health, mental health and cognition, it’s no wonder that access to daylight dramatically affects performance—both academic and work. While it’s widely agreed upon that this is the case, an overwhelming number of offices and classrooms don’t provide adequate daylight. When it comes to daylight in the workplace, for example, a study of seven office buildings in the Pacific Northwest3 shows that more than 83% of the occupants said they “very much” liked daylight and sunlight in their workspace, while only 20% felt they had a sufficient amount of it. Through our lighting choices and the designs of our buildings, we can actively reclaim natural light and promote better health and increased performance in the buildings we create, and there is a real business case to be made for doing so. Consider, for example, an average business in the services sector. Usually, this company will spend some 85 to 90% of their total operating costs on salaries and benefits for their staff. Only around 10% is spent on the rent for their office building, and around 1% goes into the energy used to operate the building. Thus, if this business manages to increase the productivity of their staff by a mere 1% by providing a healthier workplace, this will have the same effect as a 10% cut in rental fees or eliminating the energy costs altogether. Looking at your design choices in this way is taking a holistic approach to sustainable design. While it was once the sentiment that sustainable architecture meant simply cutting down on resources, today, we have a more broadened understanding of the term, resulting in a move from purely technical building solutions, to solutions that actively address human well-being within buildings. Providing access to direct sunlight for at least a certain number of hours each day. Minimising potential glare through the use of effective shading systems that can be controlled by the building users. Providing pleasant views out of windows, particularly into nature. 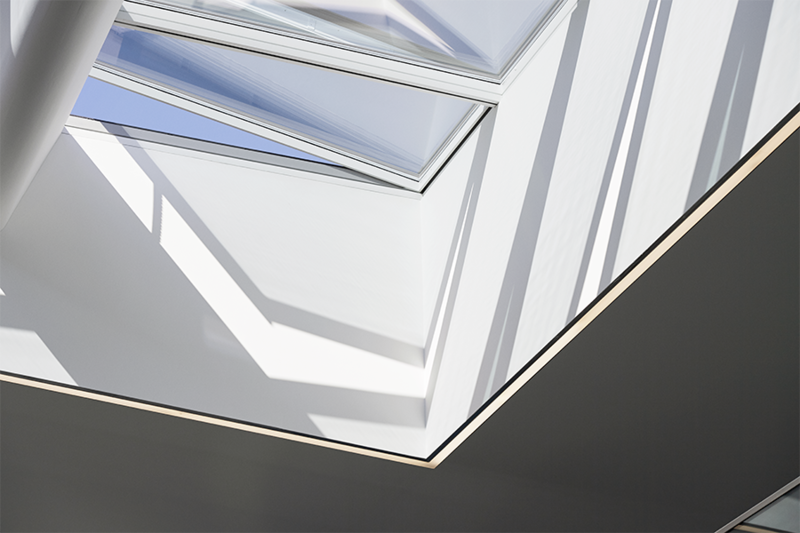 Specifying window glazing with a high light transmittance and high colour rendering index. Installing operable windows that can be opened and closed by the building users. Design solutions that comply with these schemes need neither be complicated nor expensive. Once their health benefits are factored into the equation alongside the building and energy cost, they usually pay off within a matter of a few years. Ready to get started designing with daylight? If you’re ready to get started designing with daylight, we’d be glad to assist you on your journey. 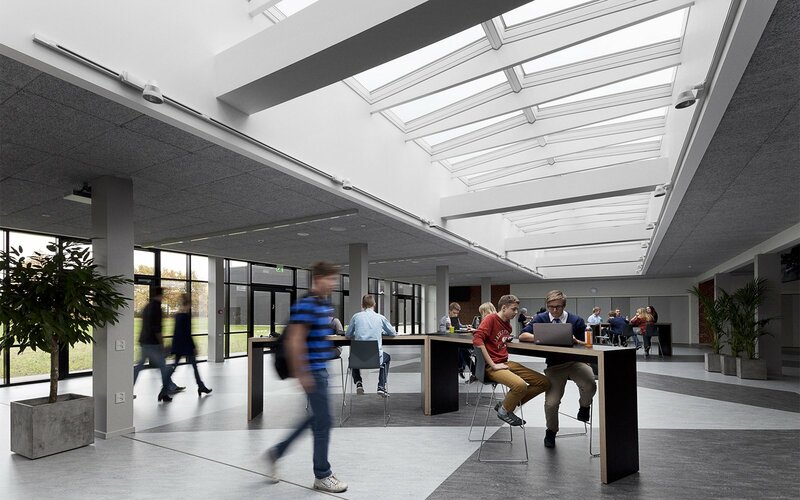 Download our guide Daylight Solutions for Sustainable Buildings to learn how VELUX Modular Skylights can help you reclaim daylight and promote health, well-being and better performance with your building design. Benedetti, F., Colombo, C., Barbini, B-, Campori, E., and Smeraldi, E., 2001. Morning sunlight reduces the length of hospitalization in biopolar depression. Journal of Affective Disorders, 62(3): 221–223. Beauchemin, K.M. and Hayes, P.1996. Sunny hospital rooms expedite recovery from severe and refractory depression. Journal of Affective Disorders,40(1): 49–51. Heerwagen, J.H. 1990. Affective Functioning, “Light Hunger,” and Room Brightness Preferences. Environment and Behavior. 22(5): 608–635. 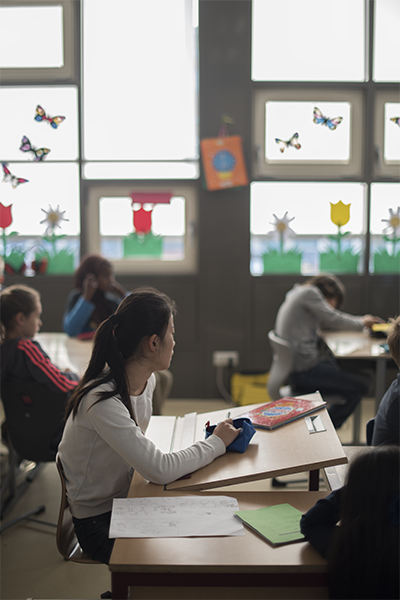 Daylight vs electric light – do they affect learning environments?